Most of our ideas never see the light of day. Why? If you ask a creative person, the answer will always revolve around time. 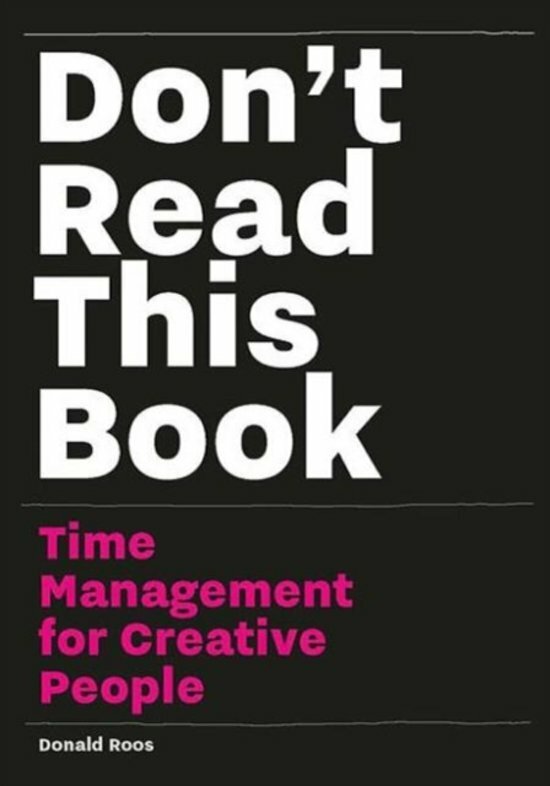 Don't Read This Book focuses on how to make choices about everything you do in your daily creative practice and life. It's not about a minimalist way to spend and organize your creative time as Hemingway with twitter, it's not even to be as synthetic as you can in your to-do lists so that procrastination is taken into consideration without provoking late afternoon regrets. It's about too many characters in this sentence as there isn't time for everything. It's actually Less = Less. To Do Lists are actually too many times a naive knowledge about yourself (birthday and new year resolutions are a painful reminder of this reality). The main message of this book is Focus. It connects the decisions you make at a personal, professional and creative level. It's a reminder of how management of time is essential to complete your project and how being dispersed around too many ideas can make you lose time.